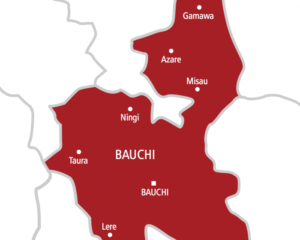 The Chief Medical Director (CMD) of Abubakar Tafawa Balewa University Teaching Hospital (ATBUTH) Bauchi, Dr Mohammed Alkali has called on the Federal and State Governments to lift embargo placed on employment in hospitals in the country. According to Dr Alkali, the hospitals need more manpower to be able to render efficient and effective health care services to teeming populace. Speaking with Journalists Thursday at the end of the Staff of the Year 2018 Award Ceremony organized by the hospital to its outstanding staff, Alkali said although the teaching hospital has adequate equipment to treat patients with various ailments, its major challenge is inadequate manpower. He lamented that the lack of adequate personnel was due to unfavourable government’s policy that placed employment embargo in organizations suggesting that health facilities render essential services in the society hence the need for government to allow them recruit staff whenever need arises. He added that infrastructural support and upgrade of equipment, funding for over heads to take care of utilities, incentives to staff and computerization of operations would go along way in improving service delivery at the hospital. The CMD who noted that the hospital was transformed into a teaching hospital nine years ago stated that since the transformation, it renders primary, secondary and tertiary health care services to people of the state and beyond because it has better equipment. In his remarks at the occasion, Chairman of the Award committee Dr Yusuf Jibrin who explained that the event was meant to recognize hardworking staff and motivate them pointed out that the committee examined staff punctuality, service delivery, relationship with clients and colleagues as well as disciplinary issues before nominating them to receive the awards. Special guest at the occasion and state commissioner for health Dr Zuwaira Ibrahim applauded the teaching hospital for organizing the award saying it will boost staff morale and enhance their productivity. She advised other health institutions in the state to emulate the gesture noting that her ministry gives priority to the welfare of health workers in the state.